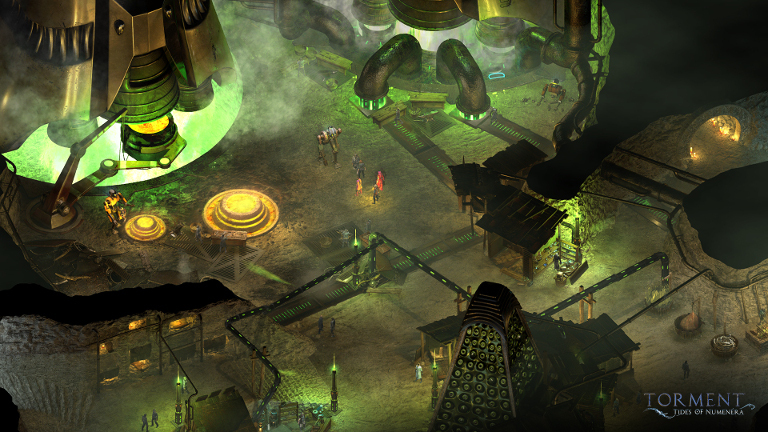 Born out of Kickstarter, Tides of Numenera is the spiritual successor to 1999’s Planescape Torment, which is widely regarded by critics and fans as one of the finest RPGs of all time. 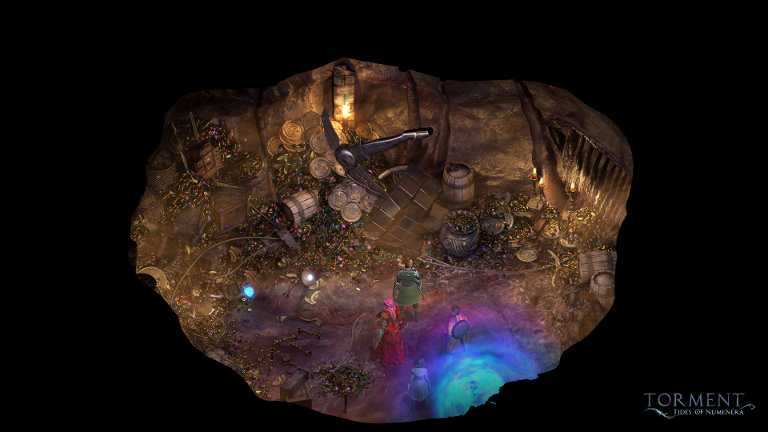 In addition, Tides of Numenera was developed by Brian Fargo’s InXile Entertainment, which has enjoyed crowdfunded success with Wasteland 2 and The Bard’s Tale IV, and which features a proven roster of role-playing game development talent. 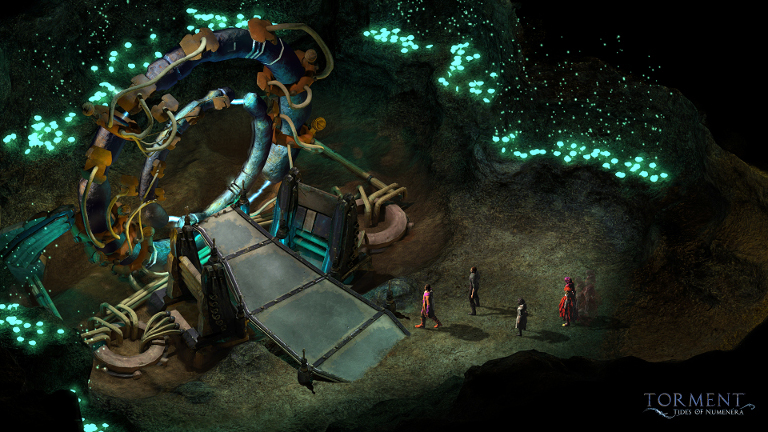 If you’re a role-playing aficionado and this pedigree somehow doesn’t have your attention, consider this: InXile has made every effort to defy convention and avoid cliche at virtually every stage of Tides of Numenera’s development. The end result is a game that should deliver a new type of role-playing experience. For starters, you are not some random unknown hero representing humanity’s last hope in a battle against evil. You do not need to save the world. Instead, you need to discover your place in it and, hopefully, answer the game’s fundamental question: What is the meaning of life? 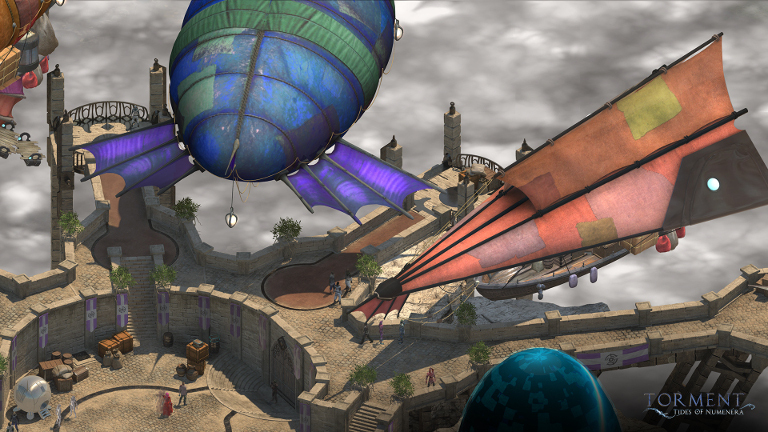 The game is set one billion years in the future in the Ninth World of Numenera, which is a tabletop RPG by Monte Cook from which the game’s core rules are adapted. Countless civilizations have come and go, and the world is in a near-medieval state comprised mainly of simple settlements surrounded by mysterious relics from the past. This process eventually drew the attention of a powerful creature known as The Sorrow, which seeks to eradicate The Changing God, and all of his castoffs, which includes you. From there you embark on a quest of discovery in which you hope to reunite with your creator, stave off The Sorrow, and decipher the meaning of your existence. This philosophical premise drives the core elements of the game, which emphasize story and character and choice above hacking and slashing and combat in general. Conversation matters...a lot. Characters will remember what you say to them and your dialog choices can open up new quests, prevent others from ever triggering and make your progress tougher, or easier. You can get a taste of this mechanic from the interactive YouTube clip below. A great deal of time was spent by the development team honing the conversation system to present you with more options to solve a given challenge. You can use the art of persuasion, coercion, intimidation, trust or deceit to complete the entire game, if you wish. There is combat to be had, should you prefer a fight, but less encounters than the norm for current RPGs and with emphasis on delivering a deeper, more complex experience. 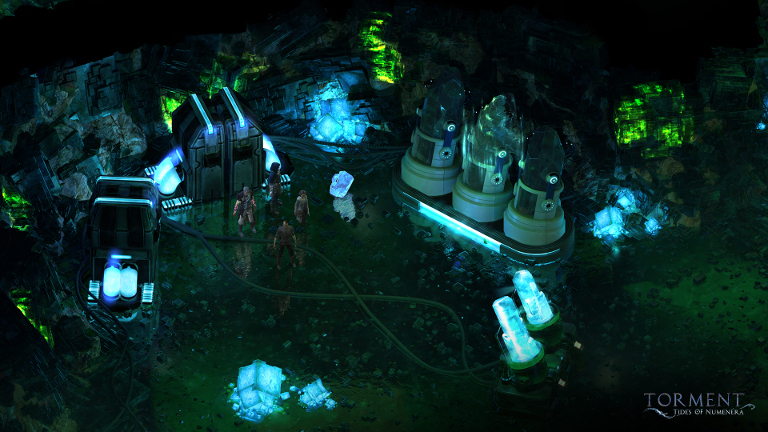 The turn-based combat was crafted to feel like a tabletop encounter. You can fight, evade or distract opponents and use the environment to your advantage. And encounters may have a time-sensitive element that adds to the tension. Failure typically doesn’t mean death, there are few instances in which the game will force you to reload a save. Failure just means you open up a different path, and just about all paths will eventually lead to your ultimate goal. As you play you’ll earn experience points you can use to develop your character’s core traits of strength, speed and intelligence. As you continue to gain experience you’ll be able to “level-up” your character, and unlock new skills and passive buffs to your character that might increase your odds at blocking deadly blows or tricking an opponent with persuasion or more. You can also recruit up to three additional companions to help you in your quest, controlling each of them in a given encounter and gaining access to their unique abilities, which will be key to your ability to overcome long odds in combat or get a particularly difficult non-player character to cough up the info you need. 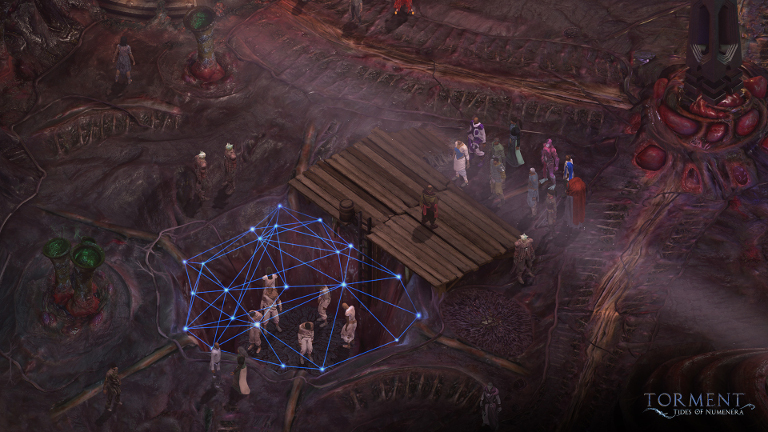 “What does one life matter?” Find out in Torment: Tides of Numenera! 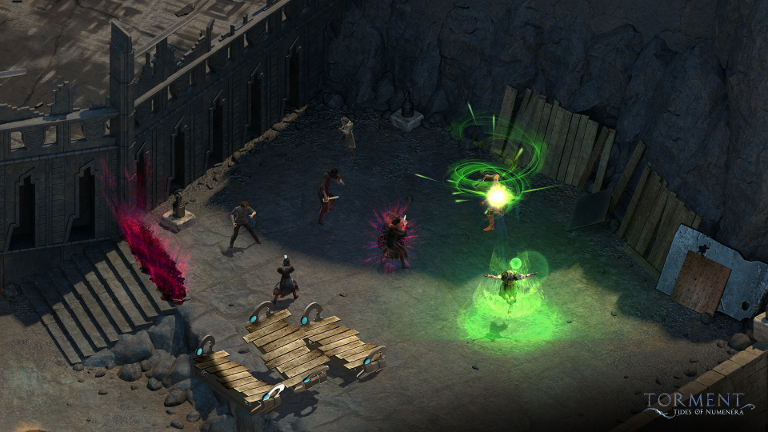 To play, navigate to GeForce NOW within SHIELD Hub: Torment: Tides of Numenera will be in the New on GeForce NOW category. If you just picked up a new NVIDIA SHIELD TV, open the NVIDIA Games app (available on your home screen) and launch the game from the “New on GeForce NOW” category. You can purchase the game for $44.99, which includes unlimited streaming rights on SHIELD along with a digital download code you can use on Steam. 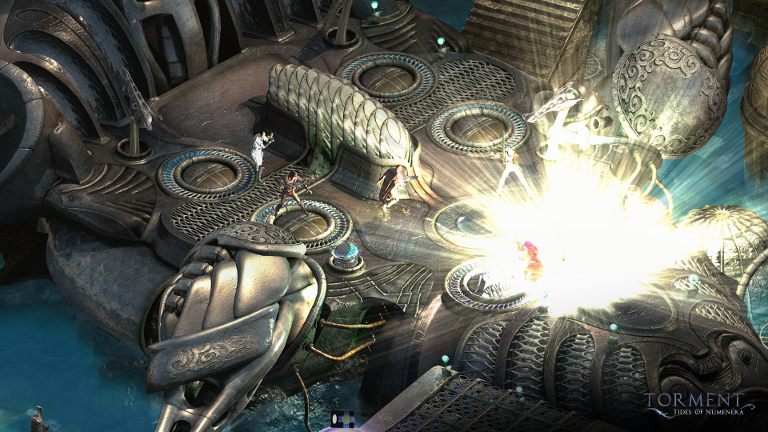 Torment: Tides of Numenera is rated M for Mature by the Entertainment Software Rating Board and is recommended for players over the age of 17. GeForce NOW is the world’s first cloud-gaming service capable of streaming PC games at up to 1080p resolution and 60 frames per second. Members enjoy access to a library of 100-plus games they can play on-demand, plus the option to purchase new games and play them instantly. Membership is free for the first month, then just $7.99 per month. Ready To Rumble!!! Haptic Feedback Comes to SHIELD!